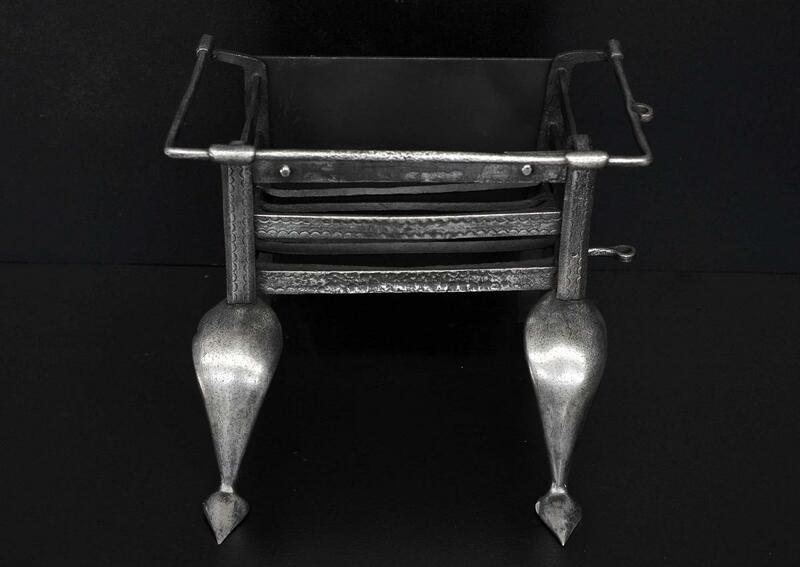 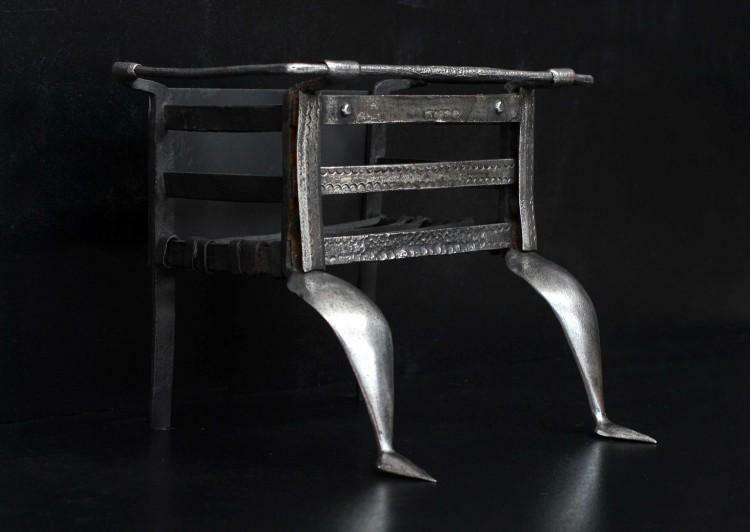 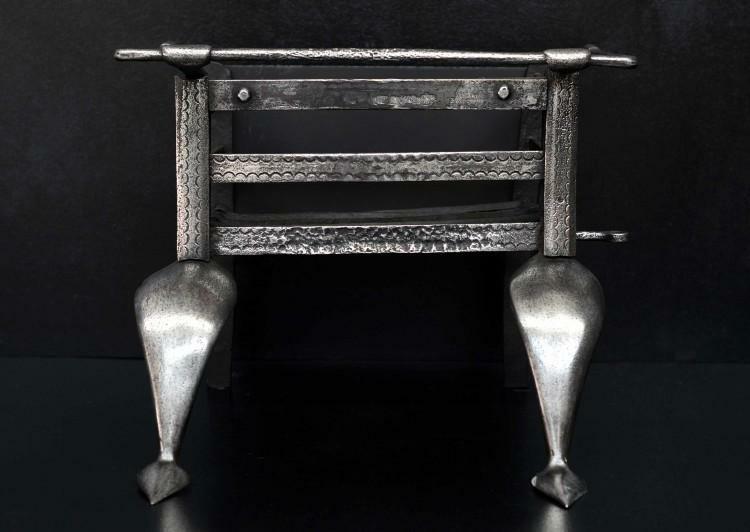 An petite polished wrought iron Art Nouveau firegrate. The shaped feet surmounted by square burning area. Early 20th century.